Home / BUSINESS/FINANCE / Opinion/Editorial / Niiyo.com: What is Your Perception of Success? 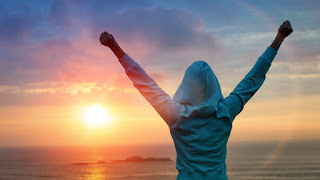 Niiyo.com: What is Your Perception of Success? I wrote this piece on the social media pages of my company and thought i should share it with you guys. It was a spontaneous act and i ended up liking it. Quite short though. Hope you enjoy it? How do you define SUCCESS? Success is very relative. It means different things to different people. Success has been popularly tagged with financial achievements. This is to an extent right but regarding success alone as money is a misconception. Success could be religious, that is making heaven, success could also be marital e.g. marrying that Mr. Right of your dreams, having great children and bringing them up to be agents of development in the country. Success could also mean touching the lives of the masses as a political leader and giving them a sense of belonging. The famous American rapper, William Leonard Roberts II better known by his stage name Rick Ross said “Measuring success is by the number of people you have blessed”. At Niiyo.com, success is when the desired goods and services are efficiently delivered to our customers within the specified time frame. A confirmation is that BRIGHT SMILE on your face as well as your undying desire to shop more because we love you, we exist for you and our entire world is built around you. So what is your perception of success? Kindly drop your comments.